They started us on the knee board first. You strap yourself in like this and you hold on to the rope handle and they'll drag you across the water. Once you reach the other side, you undo the knee straps, lie on the board with your tummy down, hold on to the handle, and they'll bring you back. Easy, right? And since you've done so well on that first round, it's time for the real deal. You strap your feet in like in the photo above, hold on to the handle and try to make it across the water. The key is to tuck your head in, bend your knees a little, put your weight on your heels (and not on the toe areas), hold on with your elbows bent close to your torso and keep your balance. I probably fell into the water at least 4 times before I finally got the hang of it. Never give up, right? 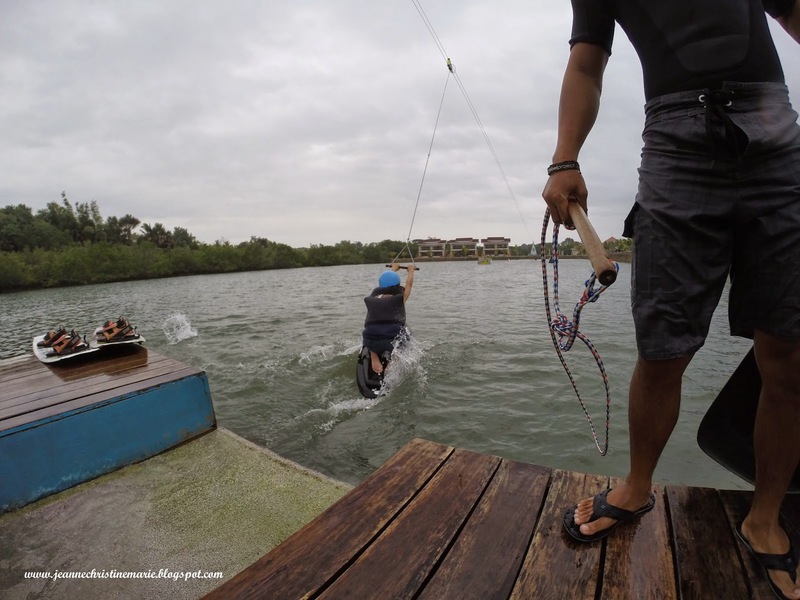 One round on the knee board costs about P150. (Don't go for this deal, it's such a waste, that one round is definitely not enough.) 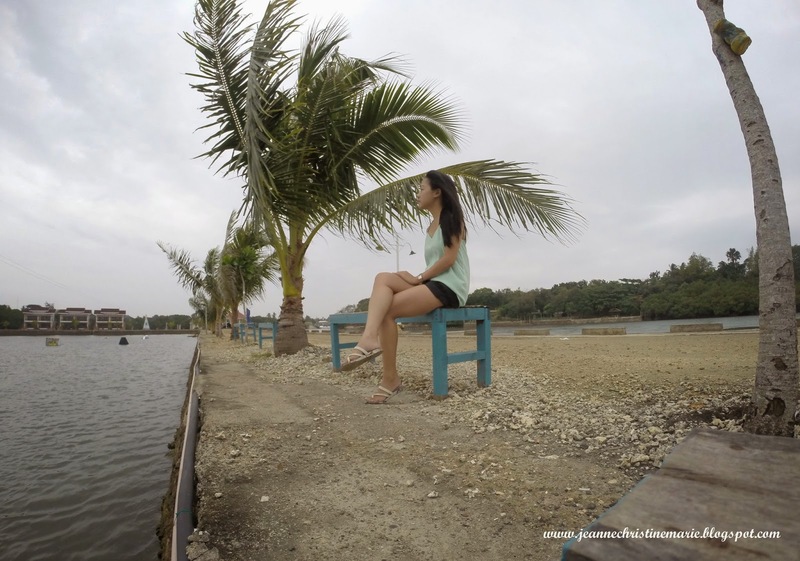 While if you book one hour for a group of 6, it's P500 per person. Definitely worth it to me! Further, I found the set-up quite safe. The water comes directly from the sea but the sand is free of rocks and whatnot. 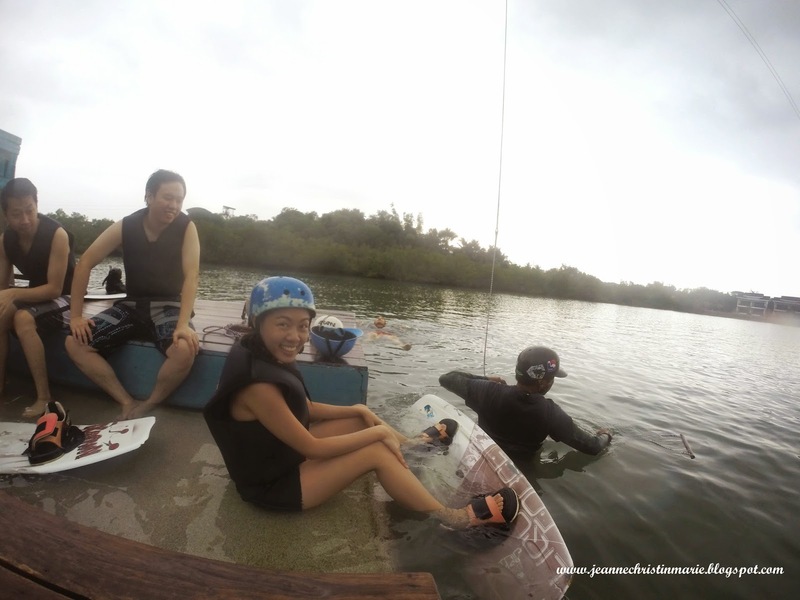 We went on a perfectly cloudy day and the water was just beginning to rise so when we fell into the water, the water only came up to the chest, which made it very easy to get back on the board. this looks too much fun!!! :D what an experience! I really love this post. so much fun! It looks like so much fun cool adventure. I'd love to try this so much but I'm not sure if I'd be brave enough! This looks like so much fun! I love all of your adventures! Wow, you are really couraged that you did this! But I can imagine you had really fun although I can imagine it's not really easy :) Thanks for sharing this amazing pictures, now I want to try this, too! Oh what a fun thing to do! And it looks a lot safer and quicker to master then being pulled around behind a boat! :) Glad you had a fun time! how awesome is that! hope you had fun :) I'd love to try wake boarding one day! That looks really fun, I have never tried anything like that before. I love your blog! Follow my blog? Looks like terrifying fun! Well done girl! i love wakeboarding! and wake surfing too! Wakeboarding is such a fun time! Looks like you had such an amazing time and you look adorable in those photos! Wow amazing pictures! Looks like you had so much fun! This looks like a lot of fun!! Thanks for sharing these photos! I love this!!!! It looks so cool!!!! Seems like you had a lot of fun!!!! THIS. LOOKS. AMAZING. You are so lucky! This looks so much fun. Lucky you. And you look so cute, girl. I looks like you were having an amazing time. I love your photos. Hey darling, love your blog and especially this post. Beautiful photos! seems like a great time. Looks like fun! Thanks for sharing. Wake boarding looks so much fun!!!! I want to go! I've always wanted to wake board, but I'm afraid of breaking my arms from slamming into the water. I'd still try given the chance. It looks like you had a blast. 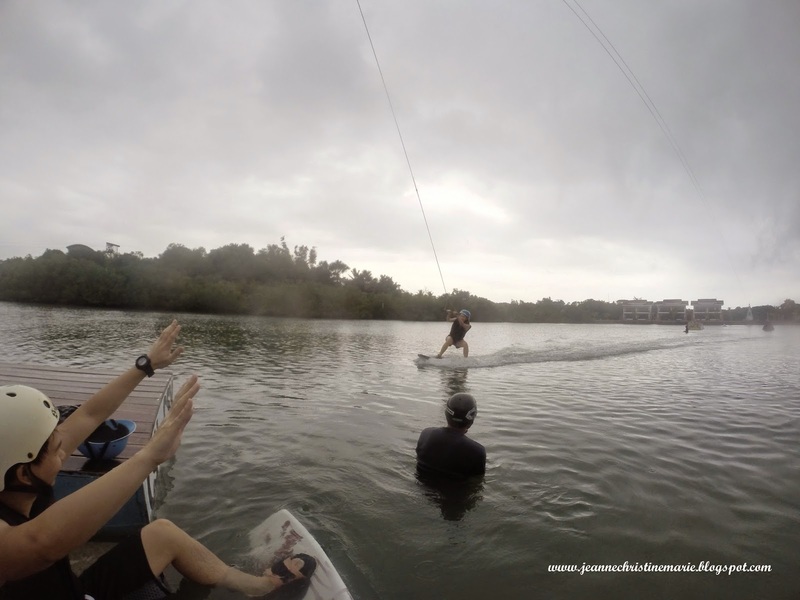 Wakeboarding in the Philippines looks so much fun!! I want to try it. Amazing photos you got there!